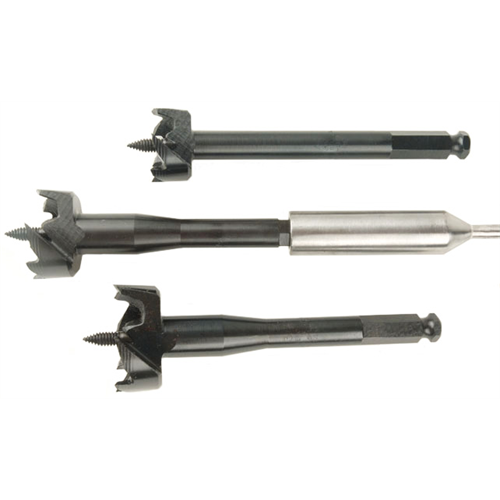 MegaBore Drill Bits offer superior drilling capabilities and performance than large diameter auger-type drill bits. They are designed for the installation of cable bundles or structured wire. These bits have a replaceable, self-feeding pilot screw that helps to avoid “walking” and helps to pull the bit through the wood. 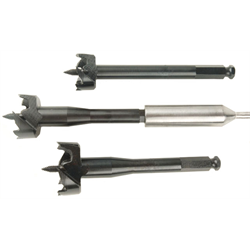 The MegaBore Drill Bits are designed with multiple spurs to increase the cutting performance of the bladed edge. The bits are fully reversible and can be used with our Flexible Extension shafts to create long shaft lengths. 1 1/4" MegaBore Bit.